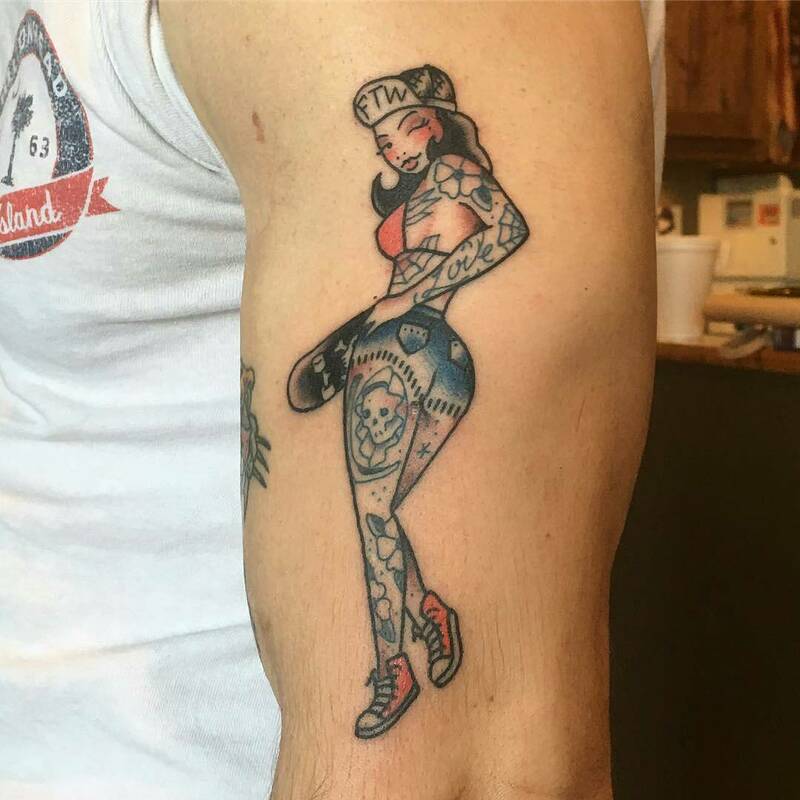 Pinup tattoos have been very common tattoos among men. However, some women still wear them. The term pinup is mainly used to refer to women who are very beautiful, very attractive and those that men would be very happy to pin them to their walls. Their first time to become popular was back in 1890s. Several magazines could feature ladies posing in seducing way with most of their skins exposed. Most of the ladies that could be features were actress or models. The first people to wear these tattoos were soldiers and military fighters who could wear them to resemble their girlfriends and thus they could remind them of them while still away for official duty. During this period, women in pinup tattoos could be tattooed wearing men costumes like the army costumes. However, this has changed in the modern pinup tattoos whereby the women have more of their body exposed to appear more seductive. 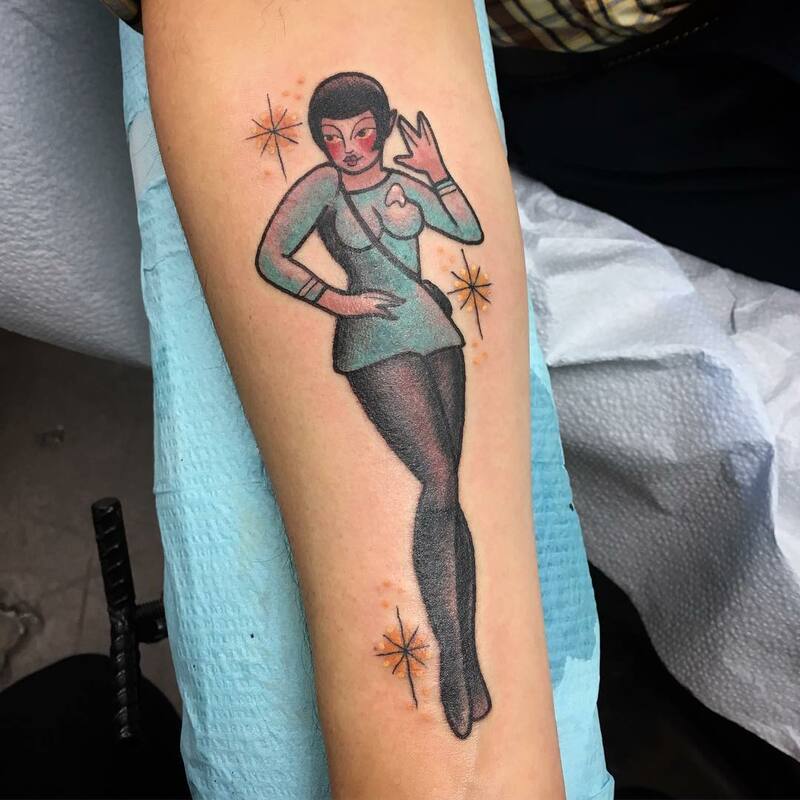 Another thing that has emerged includes ladies adopting these types of tattoos while in the past they were mainly worn by men. Pinup tattoos are mainly used to symbolize femininity. The presence of a beautiful and attractive lady brings out the femininity. This is the reason why modern type of these tattoos tends to expose more of the skin to portray more body parts of female. Most men wear these tattoos especially if they are living far away from their girlfriends or wife to symbolize them. These tattoos can also be used to represent the strength of a woman. In the past, women were considered inferior and lesser people in the society. However by use of this tattoo, the strength of a woman is greatly represented. 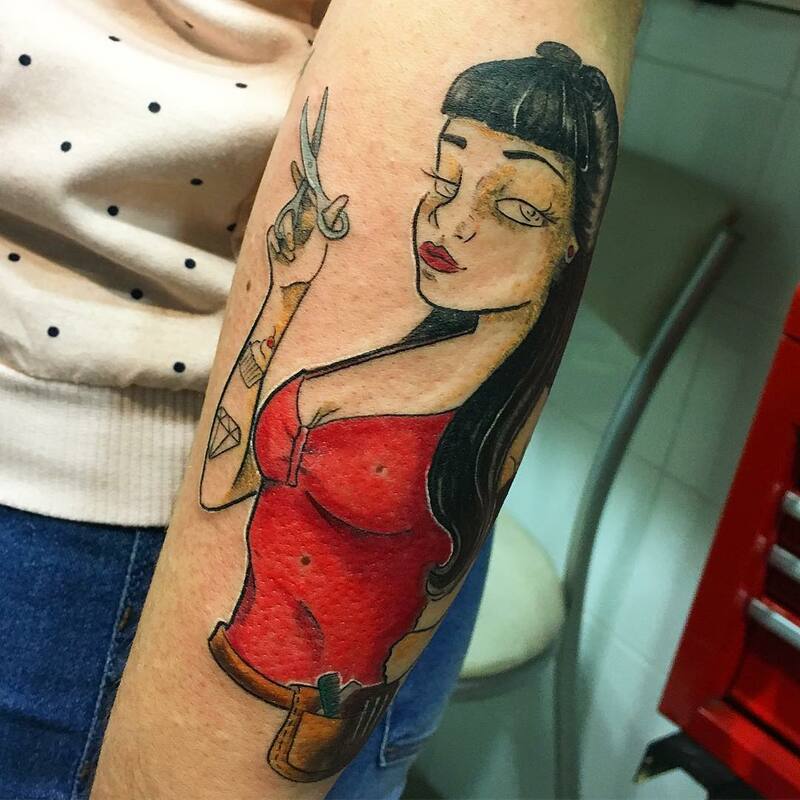 Some tattoos could feature a woman wearing mechanics costume to mean that a woman can also do tasks that are only considered to be for men. 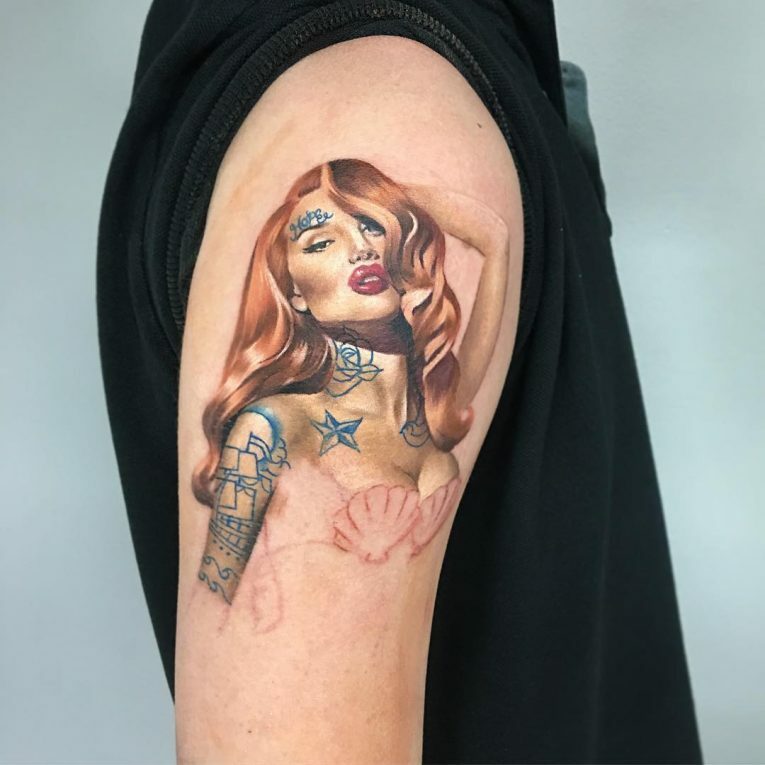 Just as they could be used to show the strength of a woman, pinup tattoos can also be used to symbolize women empowerment. Having a lady in costumes that are worn by men at their work could be used to empower women to also venture in those areas. Moreover, just by having men wearing a tattoo with an image of a woman, it is enough to empower women to belief in their abilities. “Lady Luck” is used as a symbol of good luck. Hence pinup tattoos of Lady Luck are considered to represent good luck. These tattoos are very common among those men who play at casinos and those in gambling. They belief wearing this type of tattoo will make them more lucky and hence winning in most of the games they play. However, this is solely dependent with their faith and has not been proven to work. These tattoos are mainly placed in the arms, legs, shoulders and the back. They need a lot of space and thus difficult to have in locations like fingers and neck. However, if you would like to have one that exposes every part of the body, it is important to have it at a location that will be covered so that you don’t go exposing it to the public. Pinup tattoos can be classified in different categories. 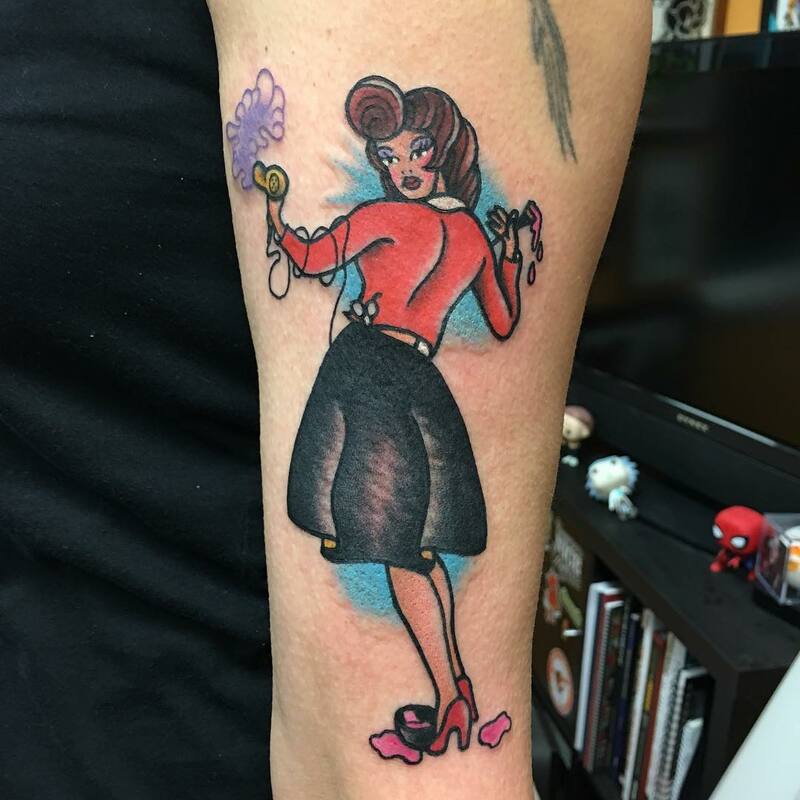 There are traditional pinup tattoos and the modern pinup tattoos. The main difference is the level of the skin exposed. Modern tattoos tend to expose more skin than the traditional. Another categorization is on the basis of whether the image is real or a cartoon. Some may have a real image of an existing woman while some a cartoon like. 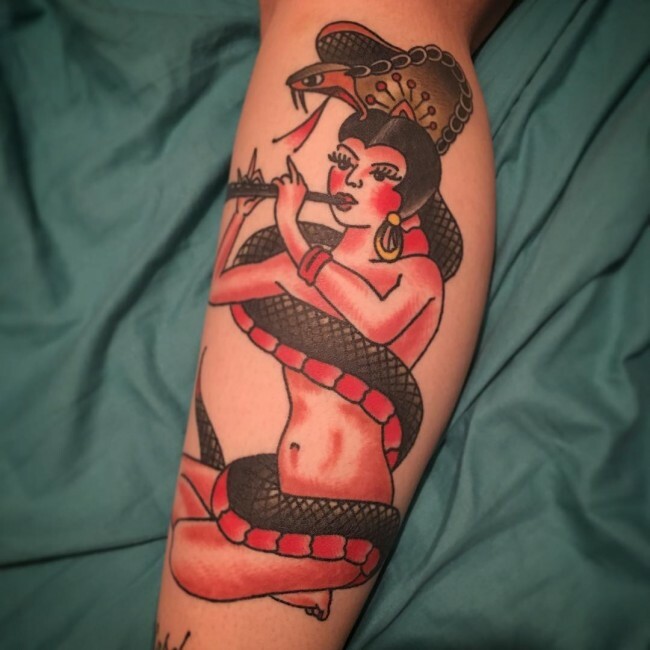 This type of tattoo is designed of a pin up girl dressed in red costumes with ribbons one at the top and another at the bottom. This is main used for women empowerment. The ribbons may have phrases like “Believe in yourself”. This tattoo is mainly done at the back due to its big size. It is quite a pretty tattoo. 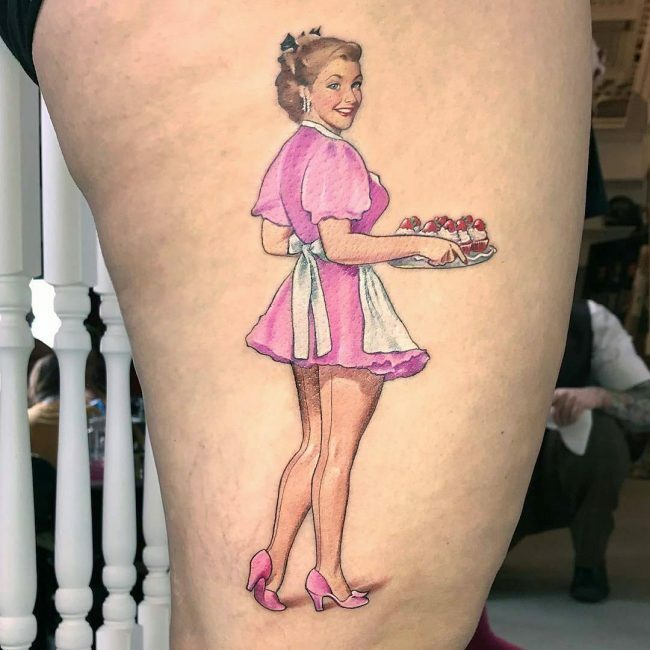 This is one of the traditional pinup tattoos. It comprise of a pinup girl dressed in sailor outfit. It is the decorated with shapes of a star to make it more beautiful. Mainly this tattoo is used to show the strength of a woman. This was mentioned earlier in this article. This tattoo comprises of the image of lady luck and it is mainly used to mean good luck. Lady Luck can be represented playing dice, cards and wearing horse shoes. A number seven can also be added and any other symbol that represents luck. This tattoo is done by having a beautiful girl dressed in purple sitting on a skull with crosses. This tattoo is used to bring the element of skull tattoos in pinup tattoos. 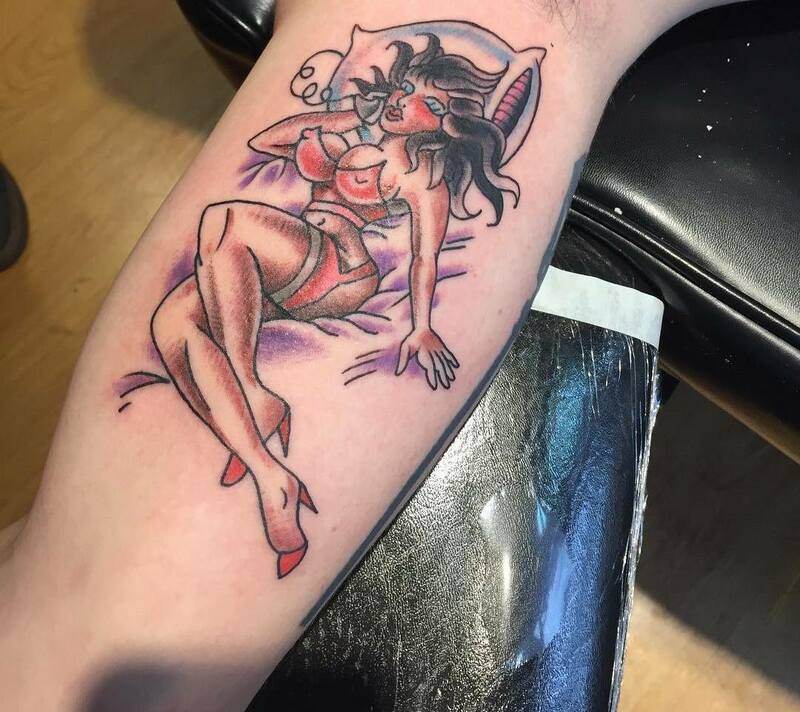 This is one of the modern pin up tattoos whereby an image of a lady lying down is tattooed. Mainly, most her skin is exposed apart from her private parts and the chest which is covered by clothing made inform of a tie. This comprise of a pinup girl posing with a guitar. The guitar is used to cover her private parts since the girl is drawn without any cloth only wearing a cap. This too is comprised of an image of beautiful girl holding a joystick. The girl is dressed up with few clothing’s especially most of the sensitive parts are fully covered. The tattoo is used to show the strength of a woman. This comprise of an attractive girl dressed up with the nurse outfit. It is also a cool tattoo and very beautiful. The white color of the dress and the red of the cross blend well. 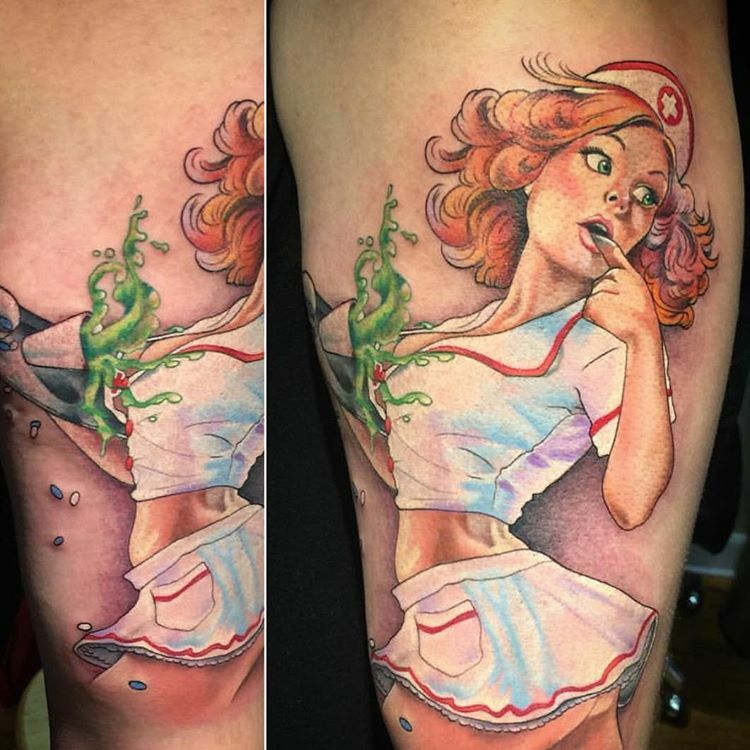 As seen in this article, pinup tattoos mainly involve images of ladies and what differs is the manner in which the girl is posing of the costumes she is dressed up with. Therefore, before you consider getting this tattoo, it is important to identify what you would like to bring out as the meaning. This will help you determine the costume in your tattoo.